These treks are 3 to 5 days long and involve walking for about 3/4 hrs daily. The trail on such treks is well defined but not always flat. These are great for families and first timers.On these treks one can be required to trek continuously for more than a week through remote areas and at times trekking for more than 7 hrs a day. On most of these treks one has to cross passes or areas which are snow covered and involve camping at altitude of more than 4000m. Fit people with some kind of hiking experience & a spirit of adventure can contemplate going on these trails. You will have to start the expedition from Gangotri. Cross two passes and you will get the glance of the snow laminated peaks. The valleys that you will find in this route are excellently steep and the scenic beauty all around is really draped with the best splendor of nature. Starting from the journey, you will have to reach Yamunotri, after crossing the passes and valleys. Dhumdhar Kandi Pass is having excellent lush woods and meadows, filled with alpine and deodar. Kyarkoti is the last point of the extension of this lush forest. You will find Mother Nature in her raw beauty. The grazing land at the side is outstanding in beauty. The beauty you will find is panoramic for eyes, but that is not enough – you will feel a homely care from nature Goddess. Excellent topography and outstanding landscape view of the place is extraordinarily enchanting. The seasonal flowers attached with it make background of the place even more energetic and exotic. The adventurous journey starts from Gangotri and elongates to Kyarkoti. The entire route will cover the Yamunotri. Birch forest and other snow embedded beauty of the path indicate eternal love and compassion of nature Mother for her toddlers. 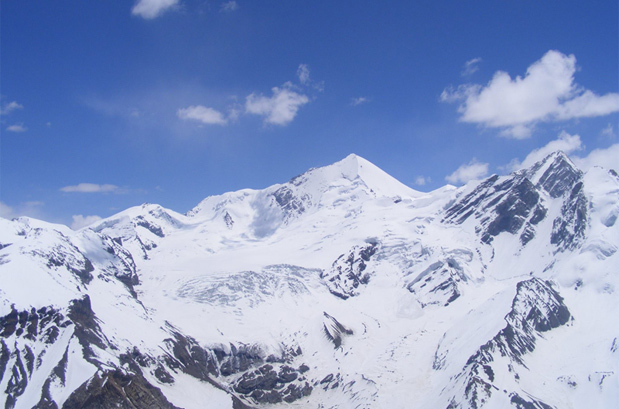 This is regarded to be one of the toughest trek routes in entire Garhwal routes. Still now you have seen the Kalanag Mountain peeping you from different angles. Now you will have to cross the base of that giant. However, nature is always there to assist you with her charming smile and young beauty embedded in immense compassion. Waterfalls of the route of Ruinsara Tal are also to be crossed here, for the route. This makes the route so special and tough. Experience of the pass route is really beyond all words. Excellent lakes and waterfalls from all corners are there at the middle of the journey, whereas in the lower course, you will have to cross the meadows covered and spotted with distinct floral decoration. Different waterfalls from the Ruin Sara Valley will be washing your feet throughout the middle course of the trek journey. The care and anticipation nature will show for you in this route will make you feel that you are the son-in-law of her. 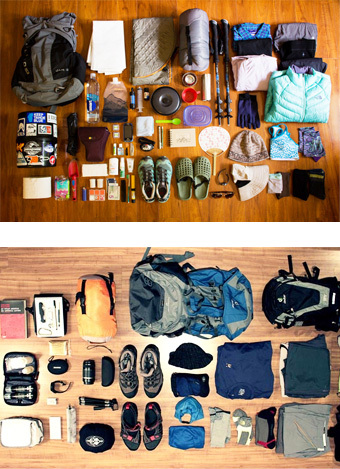 It is better to trek the route in summer and autumn. Winter snow can be really bad in this area of Garhwal. At times the snowfall turns out to be a blockage of the entire route. The monsoon time on the other hand, due to the melting season of snow, can be dangerous in the hills. This route is not at all for the novices. So get to the spot and find what nature kept secret for you is there. The full route is touching with so many holy spots, that myths will overload your notebook. Stories of Gangotri, Yamunotri and of the lakes are such big and rich, that you will find no space to write the natural beauties in your notes. Best time to travel to Dhumdhar Kandi Pass Trek is Mid May to mid October. In Summers: The weather of Dhumdhar Kandi Pass Trek remains salubrious and pleasing during summers. The Himalayas are distinctly visible and the cool breeze adds charm to the vacation. Carry woolens with you. In Monsoon and Post Monsoon: Serenity and solitude are at its best during monsoon and post monsoon at Dhumdhar Kandi Pass Trek. Where is the Dhumdhar Kandi Pass? 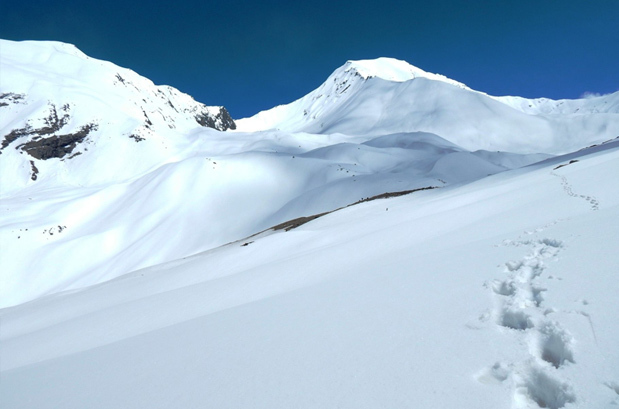 Located at an elevation of 5608 m, Dhumdhar Pass can be reached after trekking for eight days from Jhala. Quite known for its tricky location and variable climatic condition, the pass was discovered by James Baillie Frazer in 1815. By Air: Jolly Grant Airport in Dehradun is the closest airport, around 195 km from Uttarkashi. Daily flights from Lucknow, Delhi, Chennai, Mumbai, Bangalore, Hyderabad, and Trivandrum, are available for Dehradun. By Road: Uttarkashi, the base camp of the trek, is connected with all the major towns of Uttrakhand. Rishikesh (185 km), Haridwar (189 km), and Dehradun (144 km) are the major town for Dhumdhar Kandi Pass Trek. By Railway: Haridwar Railway Station, 210 km from Uttarkashi, is the nearest railway station. In the morning catch an AC Train for Haridwar at 06:50 hrs. On arrival at Haridwar by 11:25 hrs, meet our representative who will assist you with reaching Rishikesh and hotel check-in. In the evening, visit Ganga Ghat for famous Aarti ceremony. Dinner and overnight stay at the hotel. Post breakfast, we will drive to Uttarkashi via Chamba and Tehri. On arrival, check in to a hotel. Dinner and overnight stay at the hotel. In the morning after the breakfast, we shall drive to Jhala. On arrival, we shall set pitch our tents for overnight stay. Optional: Visit the temple of Gangotri and from there drive back to Jhala. Dinner and overnight stay in tents. After the breakfast, we shall start our first day trek towards Shepherd Camp. The trek is on the trail following the left bank of Sian Gad, we will be required to climb on steep terrain and pass through a thick forest. On arrival at Shepherd Camp, check-in at the camp followed by dinner and overnight stay. In the morning, post breakfast, trek towards Kyarkoti with packed lunch. 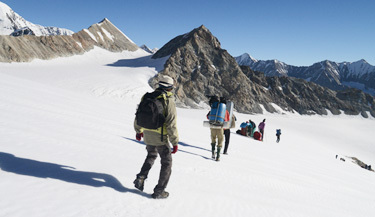 The trek will require climbing on steep terrains and passing through thick forest and alpine meadows. On arrival at Kyarkoti Meadow, we will set out our camp. Dinner and night stay at the camp. Today, we shall trek to Guntu Nala. We will cross through a forest, see waterfalls and traverse through a meadow. On arrival, we shall set out our camp for overnight stay. Post breakfast, we shall trek towards Bugyal Camp, which is believed to be the best meadow in the valley. Overnight stay at Bugyal Camp. In the morning, post breakfast, we shall trek to Below Pass. On arrival, we shall set out our camp for overnight stay. Our trek for the day will be tough. We will trek through rough mountains and boulders to reach Dhumdhar Pass. On arrival, we shall set out our camp for overnight stay. Post breakfast today, we will trek to Kalanaag Base. The trek will be moderate and it will take about 6 hrs to reach the destination for the overnight stay. Today's trek is going to be exciting as we shall be able to witness lofty snow-clad mountains, murmuring waterfalls and lush green meadows. On arrival at Ruinsara Tal, we shall set our camp and stay overnight. In the morning, after the breakfast, we shall trek to Thange. 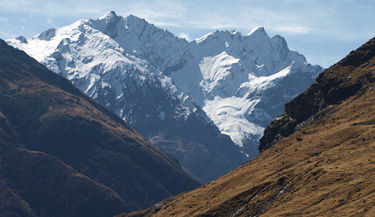 The trekking trail will pass through rough mountains and boulders. Overnight stay at a camp in Thange. Today, we shall traverse through the Bali pass to reach Damini. Overnight stay at a camp in Damini. Post breakfast today, we shall trek down to Yamunotri. 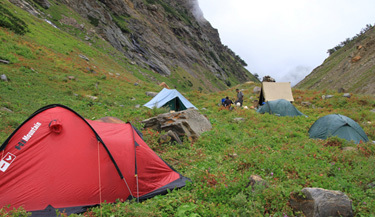 Overnight stay in a camp in Yamunotri. After breakfast, we shall drive to Dehradun via Mussoorie. On arrival at Dehradun transfer to railway station and catch an AC train to Delhi. Arrival at Delhi by 22:45 hrs. When to book Dhumdhar Kandi Pass Trek? You should book Dhumdhar Kandi Pass Trek well in advance (at least 4 month prior) advance so that you get ample amount of time to prepare well for the trek. Our pick up and drop point for Dhumdhar Kandi Pass Trek is New Delhi train station at platform no. 16. We will send you the train ticket and you can board train from there to Haridwar. At Haridwar our guide will pick you from train station and then from there your tour will start. What is minimum age required for Dhumdhar Kandi Pass Trek? Dhumdhar Kandi Pass Trek is a challenging trek with a maximum altitude of 17385 ft (5300m) minimum age required is 18 years. How long we trek during Dhumdhar Kandi Pass Trek? What will be the minimum temperature during Dhumdhar Kandi Pass Trek?